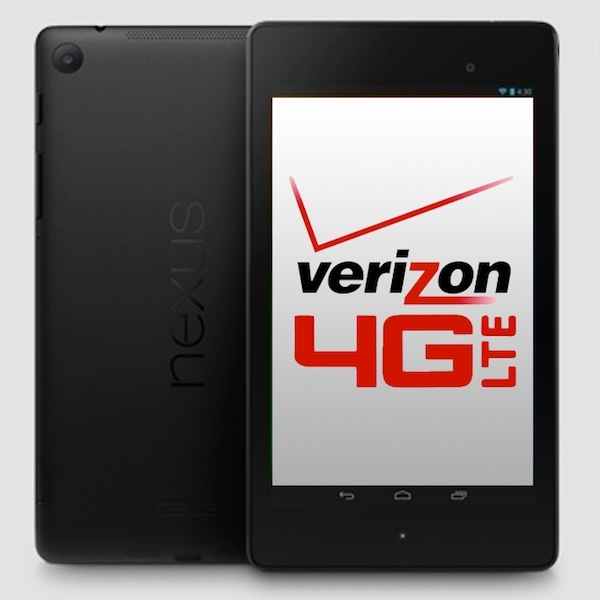 Google launched Nexus 7 almost three months back but it hasn’t yet arrived on the Verizon LTE network. Verizon didn’t respond to anyone regarding this during the three month period and thus the curiosity got faded with time. All of a sudden, yesterday the ‘Big Red’ released an official statement on this which i think none of you would like to hear. Verizon strictly refused to certify Google’s Nexus 7 and now it is blaming Google and Asus for delaying the certification process of the tablet. As told to Android Police, Google’s Nexus had a very serious ‘system issue’ which Verizon uncovered during the certification process. When the issue was projected in front of the manufacturers, they said to stall the certification of the tablet until an update of Android 4.4 KitKat arrives for Nexus 7. From the statement that was released yesterday, Verizon made it very clear that Google doesn’t want to work on any glitches regarding their Jelly Bean OS as KitKat has already been released. Google made it sure that it will release a KitKat update very soon for Nexus 7 which will eradicate all problems. Since Google was about to launch its new KitKat OS, rather than undertake additional work with the Jelly Bean OS, Google and Asus asked Verizon to suspend its certification process until Google’s new OS was available on the Nexus 7. It is not yet clear that whether Verizon is making business move with this decision or not as Verizon just announced its indigenous 7-inch tablet, the Ellipsis 7. As of now, i would like to give Verizon the benefit of doubt. Many Verizon customers mentioned in several blogs that there are no specific issues regarding Nexus 7 working on the Verizon’s LTE network. If it’s true, then it’s a win-win for Verizon as Google will be on the losing side. But on the contrary, if this is a dedicated business move from Verizon rather than an unavoidable technical glitch – I would say Verizon is rather on a shaky side. When the company bought spectrum from FCC in 2008 which now corroborates the LTE network, it promised that their customers can use any device of their choice on their network. But here things are working out quite differently. Let’s see what happens when Google and Asus open up with this matter.